Good morning, Monday! We’re 13 days into this year, yet it still feels relatively new. It’s always a great feeling to have a fresh start … whether it’s your new look and branding, a new workout routine, a new diet or even a new mindset on how to make positive changes for yourself. 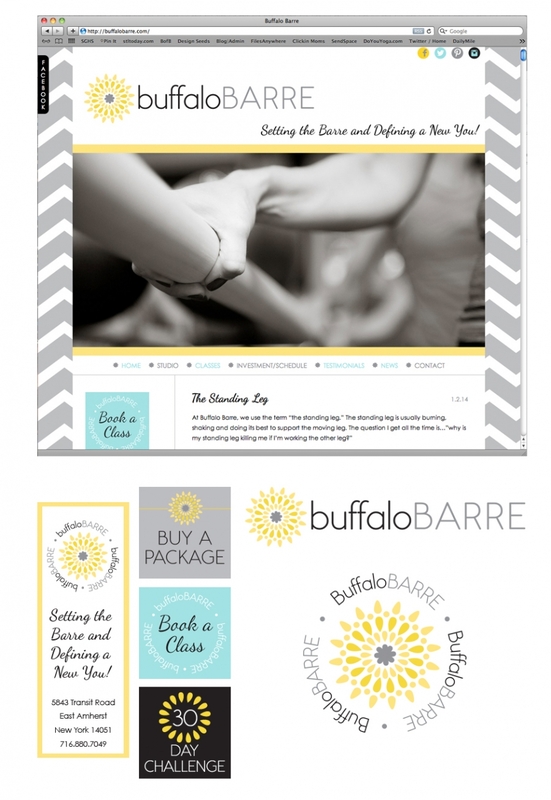 I worked with Maria of Buffalo Barre towards the end of last year on her logo and site customization. She has the awesome job of helping her clients meet those goals and improve their overall health and fitness. I love yoga and she’s definitely piqued my interest with her barre classes. Drop by and say hello! Perhaps you’ll be inspired to try something new. Have a great day! Susannah Gill - Whoot! Whoot! So glad you ladies worked together! I love Maria and I love what you made for her!! !